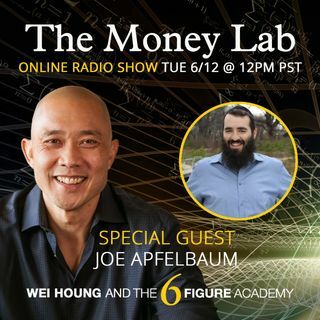 Today we'll be speaking with Joe Apfelbaum! Joe is the CEO of Ajax Union, a B2B digital marketing agency based in Brooklyn, NY. Joe is a business strategist, marketing expert and certified Google trainer. Joe is also the Author of his new book High Energy Secrets, How he lost 95 pounds and has more energy than ever. When he is not Mojovating entrepreneurs at events and on social media he chills in Brooklyn with his Wife and 5 kids! "Common Sense is NOT Common Practice"